As this technology advances, it’s becoming easier and more attainable for businesses to start leveraging this technology and gaining these advantages. As a result, businesses across verticals are beginning to implement their own mobile POS solutions. What began with retailers and the hospitality industry is now spreading to new horizons. 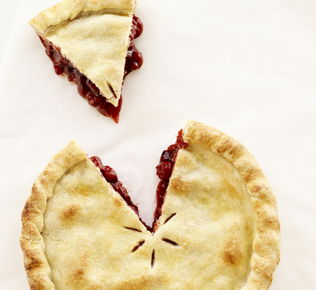 Financial institutions, for example, are now taking up the gauntlet and attempting to claim their own piece of the mobile POS pie. It only makes sense that financial institutions would want to participate in the ever-changing mobile market, as they serve within a highly competitive marketplace and implementing new technology can be a strategic move in helping them stand out above the rest. Additionally, the majority of their customers are leveraging mobile to complete the rest of their daily routines, so why not use it when banking, transferring payments or completing other financial tasks? With the extensive collection of non-banking entities offering mobile payment options, including PayPal, MTN Mobile Money, True Money and Paydiant, financial institutions including credit card processors, acquirers and banks simply have to adapt. Bank of America: Bank of America allows for receiving payments, turning mobile phones into effective point of sale devices. Their Mobile Pay solution provides merchants with an encrypted card reader that works with a mobile app to receive card data when customers make purchases. Successful payments are made directly into the attached Bank of America account, greatly simplifying the process of taking credit and debit card payments, especially when on the go. U.S. Bank: U.S. Bank announced in January 2013 that they would be launching a trial for a mobile payments service called U.S. Bank Go Mobile. This will allow iPhone users to pay for purchases by simply waving their smart phone across special terminals. U.S. Bank is utilizing NFC technology to simplify the mobile payment process. Payments made with U.S. Bank Go Mobile are authorized, processed and billed to a Visa account the same way as traditional payments. Chase Bank: Following a different path in the mobile banking and mobile payment arena, Chase Bank is offering "QuickPay," which allows for person to person electronic payments using only an e-mail address or mobile number. This style of mobile payment sending is similar in nature to that of mobile wallets. The strides that these three banks and many others are making strongly indicate that the future of mobile point of sale will absolutely include banks and other financial institutions - each with their own unique take on sending and receiving payments. In a competitive landscape that favors the fastest and the smartest, banks and financial institutions that invest in mobile technology will be better positioned to emerge as market leaders. One key to success is ensuring that these mobile offerings truly meet consumer needs - whether it’s targeting small merchants who require a mobile commerce solution to better run their business, or focusing on those who could benefit from the convenience of mobile payment transfers, such as landlords and their tenants. The other major key to success is identifying the right technology partner to help these financial institutions get to market with their own mPOS solution. This will allow banks, payment processers, acquirers and others to focus on their core competencies without having to worry about developing the hardware and software required to launch an end-to-end mobile commerce solution. While the possibilities are endless and the opportunity is vast, the mobile point of sale market is still very much untouched by the majority of the major financial players. Only time will tell which other financial institutions claim their piece of the pie.